Medical Xpress, Israel 21C and Technology Networks reported on a study co-authored by Itzhak Fried, MD, PhD, a professor of neurosurgery and psychiatry, suggesting that the activity of single neurons deep in the brain could explain humans’ intelligence and greater susceptibility to psychiatric disorders than primates. Neuroscientists have for the first time discovered differences between the ‘software’ of humans and monkey brains, using a technique that tracks single neurons. They found that human brains trade off ‘robustness’ — a measure of how synchronized neuron signals are — for greater efficiency in information processing. The researchers hypothesize that the results might help to explain humans’ unique intelligence, as well as their susceptibility to psychiatric disorders. WESTWOOD (KABC) -- Hinesh Patel broke his neck and damaged his spine when he fell off a balcony last year. The 29-year-old M.D. and Ph.D. student has traveled the world and lived a very active lifestyle. He's starting to regain mobility, but so far, not the ability to urinate without a catheter. University of California, Los Angeles' Dr. Daniel Lu is running his second study using a magnet to stimulate the part of the spinal cord that controls bladder function. When baby Jack laughed for hours a day, his parents just thought he was happy at first. But they later discovered a rare brain tumor was causing his unusual behavior. Jack Young, from the county of Somerset, southeast England, U.K., started laughing when he was around two-weeks-old, PA Real Life reported. That's weeks before the 4 month milestone when most children start to laugh. 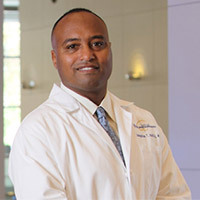 Langston T. Holly, MD, is a board-certified neurosurgeon and co-director at UC Los Angeles Spine Center in Santa Monica. Dr. Holly is a professor and co-vice chair of clinical affairs for UCLA Health's neurosurgery department. Becker's Spine Review published a profile of Dr. Langston Holly, neurosurgeon and co-director of the UCLA Spine Center in Santa Monica, as part of its spine surgeon "leaders to know" series. Dr. Linda Liau, an internationally renowned neurosurgeon-scientist at UCLA, has been elected to the National Academy of Medicine. The university announced Oct. 15 that the chair of the neurosurgery department at the David Geffen School of Medicine had received one of the highest honors in the fields of health and medicine. Story on labusinessjournal.com > Additional Coverage: beckersspine.com | nbclosangeles.com | mynewsla.com | dailybruin.com | newsroom.ucla.edu | uclahealth.org. Immunotherapy offers promise against brain cancer - Dr. Linda Liau, chair of neurosurgery at the David Geffen School of Medicine at UCLA and a member of the UCLA Jonsson Comprehensive Cancer Center, was featured in a Nature story about innovative strategies researchers are using to retrain the immune system to defeat brain cancer. Liau invented one of the first personalized vaccines for glioblastoma, the most deadly form of brain cancer. Dr. Christopher Giza, director of the UCLA Steve Tisch BrainSPORT Program and a professor of pediatrics and neurosurgery at UCLA’s David Geffen School of Medicine and UCLA Mattel Children’s Hospital, was interviewed by Sacramento-based Capital Public Radio about new guidelines from the Centers for Disease Control and Prevention on the diagnosis and treatment of pediatric concussions. Featuring Dr. Christopher Giza. Survey: Most parents rely on outdated advice that can prolong symptoms, cause emotional distress. A new survey reveals many parents would rely on outdated advice when caring for a child with a concussion, inadvertently making matters worse. Featuring Dr. Isaac Yang. Out of the blue, Richard Barron, 48, woke up deaf in one ear. The University of Maine women’s basketball coach was ultra-sensitive to noise--the sound of someone loading the dishwasher was excruciating. Even stranger, Richard began hearing his bones creak and his eyelids move. American Heart Association Award recognizes UCLA's commitment to quality stroke care. UCLA has received the American Heart Association/American Stroke Association’s Get With The Guidelines®-Stroke Gold Plus Quality Achievement Award. The award recognizes the hospital’s commitment to ensuring stroke patients receive the most appropriate treatment according to nationally recognized, research-based guidelines based on the latest scientific evidence. Featuring Dr. Linda Liau. An international Phase III study led by researchers at UCLA and at Northwest Biotherapeutics, Inc. has found that a personalized glioblastoma vaccine may increase long-term survival in some patients. Why Was Her Vision Jerky and Blurry if There Was Nothing Wrong With Her Eyes? By Lisa Sanders, MD - Featuring Dr. Aria Fallah. The young woman rubbed her eyes. The numbers and letters on her computer screen jumped erratically. So did the world around her. This had happened before, but late at night when she was tired, never in the middle of the day. The light from the screen suddenly seemed too bright. And her headache, the one that was always present these days, tightened from a dull ache to a squeezing pressure on the back of her head and neck. Nearly in tears from pain and frustration, the 19-year-old called her mother. Inside UCLA’s Neuroplasticity and Repair Laboratory. LA Magazine - Featuring Dr. Daniel Lu. Brian Gomez has his fingers wrapped around a small bar attached to three short springs in a rectangular metal frame. It’s similar to the handlebar brake lever of a dirt bike, like the one Gomez was riding in 2011 that malfunctioned, causing a crash that left him paralyzed below the neck. The Washington Post reported on a Nature Medicine study by Dr. Itzhak Fried showing that a night of lost sleep can result in temporary mental lapses that impair memory and distort visual perceptions. The story was syndicated by the Atlanta Journal Constitution, Star Tribune, Denver Post, Stars & Stripes, Palm Beach Post and Dayton Daily News. Fried is a professor of neurosurgery at the David Geffen School of Medicine at UCLA. Attendees, including directors Jonathan Dayton and Valerie Faris, support UCLA neuroscientists. Members of the medical community mingled with Hollywood filmmakers during the Golden Portal Awards, an annual event created to offer philanthropic support to UCLA neuroscientists who are researching neurological diseases such as brain cancer, aneurysms, vascular malformations and stroke. People get too little sleep for lots of reasons. But whether you’re binge-watching Game of Thrones or nursing a colicky baby, the results are the same: you’re really tired the next day. Now a new UCLA study shows that your brain cells get sleepy, too. And that can lead to some serious spacing out…with potentially dangerous implications. PC Magazine profiled Nanthia Suthana, assistant professor of neurosurgery and psychiatry at the David Geffen School of Medicine at UCLA, and her use of virtual reality and brain implants to study how the brain encodes memories. Her findings could one day lead to new therapies for Alzheimer’s and other diseases marked by memory loss. The story was syndicated by the magazine’s editions in the U.K., Asian and India. IEEE Spectrum cited a UCLA study showing that electrical stimulation of the brain improved short-term memory. Dr. Itzhak Fried, professor of neurosurgery at the David Geffen School of Medicine at UCLA, led the research. Dr. Christopher Giza, director of the UCLA Steve Tisch BrainSPORT Program and a professor of neurosurgery and pediatrics at UCLA’s David Geffen School of Medicine and Mattel Children’s Hospital, commented in a story by The Guardian about how the future of the National Football League may rest on its ability to repair its concussion protocol. The story was syndicated by Yahoo! Sports. Elite Daily featured a UCLA study exploring the effect of sleep deprivation on the brain and visual perception. Dr. Itzhak Fried, professor of neurosurgery at the David Geffen School of Medicine at UCLA, led the research. Dr. Linda Liau’s appointment as chair of neurosurgery at the David Geffen School of Medicine at UCLA was announced by Becker’s Spine. By Elaine Schmidt - Featuring Dr. Nanthia Suthana. UCLA neuroscientist Nanthia Suthana was awarded a $3.3 million three-year grant from the BRAIN Initiative. Funded by the National Institutes of Health, the scientific collaboration aims to revolutionize understanding of the brain. CRANBURY, N.J.--(BUSINESS WIRE)--CURE® magazine, the nation’s leading consumer digital and print media enterprise focused entirely on patients with cancer, honored Al Musella, D.P.M. ; Linda Liau, M.D. ; Kay Verble; and Matt Anthony as this year’s winners of its third annual Glioblastoma Multiforme (GBM) Heroes® Awards. The celebration gala took place yesterday at the City View at the Metreon in San Francisco during the 22nd Annual Scientific Meeting of the Society for Neuro-Oncology. By Elaine Schmidt - Featuring Dr. Itzhak Fried. Ever sleep poorly and then walk out of the house without your keys? Or space out while driving to work and nearly hit a stalled car? A new study led by UCLA’s Dr. Itzhak Fried is the first to reveal how sleep deprivation disrupts brain cells’ ability to communicate with each other. Roughly every 40 seconds, someone in the United States will have a stroke. Almost every four minutes, one of those people will die as a result. Against that backdrop, UCLA Health has officially launched the first mobile stroke unit on the West Coast, enabling rapid delivery of brain-saving medications to stroke patients who might otherwise face debilitating delays in treatment. Are Youth Football Programs Doing Enough To Prevent Concussions? Football season is in full swing, and with it, comes questions and concerns for parents across Southern California. Many think of helmets are enough for safety, but is the game too rough to play? KCAL 9’s Randy Paige reports experts say parents need to do their homework to protect these young minds. UCLA Professor of Pediatric Neurology Dr. Christopher Giza says parents have a lot to consider when deciding whether or not their kids should play football, particularly when they’re in elementary school. Over the last few years, more and more has been discovered about our potential to alter how the brain works, from transcranial magnetic stimulation (TMS) to interfacing directly with computers. People with epilepsy who have had ultra-fine wires implanted in their brains to track seizures are the perfect group to extend this research. A new study from the David Geffen School of Medicine at UCLA shows, incredibly, that targeting one area of the brain with low-level electrical impulses from these wires can improve human memory. Dr. Christopher Giza, director of the UCLA Steve Tisch BrainSPORT Program and a professor of pediatrics and neurosurgery at the David Geffen School of Medicine at UCLA, commented in a STAT News story about a new initiative to study concussion in professional fighters in an effort to predict risk for future brain damage. The article was syndicated by Scientific American and MedPage Today. Dr. Anthony Wang, an assistant professor of neurosurgery at the David Geffen School of Medicine at UCLA, was quoted in Oct. 12 Los Angeles Times story about an internationally recognized music producer who lost the ability to speak and enjoy music following diagnosis with Moyamoya disease, which is caused by malformed blood vessels in the brain. The story was syndicated by 36 newspapers nationwide, including the Miami Herald, Sacramento Bee and Kansas City Star. By Gina Battaglia, PhD - Featuring Dr. Linda Liau. Immunotherapy has shown promise for treatment of glioblastoma multiforme (GBM), the most common primary brain tumor in adults with historically poor prognosis, but experts agree that combination regimens have the greatest potential to achieve durable response. $11.4 million grant will help to advance work in prevention, detection and treatment. The brain cancer program at UCLA’s Jonsson Comprehensive Cancer Center and the UCLA Brain Tumor Center has been designated a Specialized Program of Research Excellence, or SPORE, by the National Cancer Institute, making it one of only five brain cancer programs nationwide to receive this national recognition and substantial research funding. By Elaine Schmidt - Featuring Dr. Nanthia Suthana. UCLA lab first to study how brain encodes memory during movement. We’re all familiar with the image of someone donning virtual reality goggles to enter a new environment while seated at their computer. At UCLA, Nanthia Suthana is one of the first neuroscientists in the world to harness the power of VR to unravel how someone’s brain encodes and retrieves memories while the person explores a new virtual setting on foot. By Stacey Worthy - Featuring Dr. Linda Liau. While a partisan debate unfolds over how to expand the number of Americans covered by health insurance, policymakers have all but ignored the hidden healthcare crisis facing millions who have already bought insurance. Insurance providers are increasingly refusing to cover prescribed treatments for many patients with chronic conditions, even when they have fully paid their premiums. By Beaumont.org - Featuring Dr. Gary W. Mathern. On May 9, Bailey became the first patient to have a hemispherectomy at Beaumont Children’s. Pediatric neurosurgeon Karol Zakalik, M.D., performed the procedure under the watchful eye of Gary Mathern, M.D., a UCLA Medical Center neurosurgeon, considered a pioneer in modified hemispherectomies. By Chelsea Davis - Featuring Dr. Linda Liau. MAKAWAO, MAUI (HawaiiNewsNow) - A Maui lawyer is using his personal cancer battle to give others hope -- and he's picking up some celebrity supporters. In the five years since Jamil Newirth has been diagnosed with brain cancer, he passed the bar exam, ran a marathon, and ended up on a jumbotron. Video: Casa Colina's Research Institute collaboration with UCLA, Cal Tech and the courageous Nancy Smith. By Elaine Schmidt - Justin Cho is an engaging 9-year-old. Although he’s somewhat shy, he is quick to smile and has an infectious laugh. “Justin has always been a happy child — very energetic and bubbly,” said his father, Robert Cho. “We assumed that giggling was just part of his personality.” What Robert and his wife, So, didn’t know was that the laughing fits he often had before bedtime were actually seizures and signs of a serious medical problem. By Stuart Wolpert - Featuring Xia Yang and Fernando Gomez-Pinilla. The researchers identified for the first time master genes that they believe control hundreds of other genes which are linked to Alzheimer’s disease, Parkinson’s disease, post-traumatic stress disorder, stroke, attention deficit hyperactivity disorder, autism, depression, schizophrenia and other disorders. Vital Signs Winter 2017 - A lot has changed since the days when athletes who got their “bell rung” while playing contact sports would be sent back out onto the field. Today, concussions are taken much more seriously amid concern about their long-term effects. Numerous news outlets reported Dec. 13 on the story of Brian Gomez, a young San Dimas man who broke his neck five years ago. Brian has regained some hand control due to an experimental device implanted In his spine by Dr. Daniel Lu, an associate professor of neurosurgery at the David Geffen School of Medicine at UCLA. Coverage included KTLA-TV (Los Angeles), WCBS-TV (New York), WJBK-TV (Detroit), KSWB-TV (San Diego), STAT News, the U.K.'s Daily Mail, United Press International, Becker's Spine Review, Spain's Canarias 7, the Netherlands' RTL News, Futurism and Mass Device. A UCLA social media video on Brian's story has been viewed on Facebook nearly 8,000 times, liked 370 times and shared 133 times so far. The press release is also generating views on UCLA Newsroom. Gary W. Mathern, MD, will receive the William G. Lennox Award for lifetime accomplishments in epilepsy from the American Epilepsy Society. The award will be presented during the society’s annual meeting in Houston, Tex., December 2-5. Drs. Chris Giza and Mayumi Prins provided interviews on behalf of UCLA in a STAT News article published today about how the nation's organ banks--created to study brain trauma--contain only a limited number of female brains, potentially skewing results. The 2016 Popular Mechanics Breakthrough Awards -- You eat a lot of sugar, you gain weight. Most of us know that. But few of us realize that simple sugars like those found in a can of Coke can also damage thousands of genes in your brain, including those related to Alzheimer's, heart disease, and depression. That's exactly what UCLA professors Xia Yang and Fernando Gomez-Pinilla discovered in May. Luckily they also found some good news: An omega-3 fatty acid called DHA, which is found in fish, including tuna and salmon, reversed the damage. Reuters profiled Dr. Linda Liau as the lead in a July 23 feature story and photo essay focusing on women in male-dominated fields as America nominates its first female presidential candidate. An updated version was published July 24 and fed to Reuters subscriber outlets worldwide. People magazine published a July 21 story on Special Olympics athlete Edward Garcia, who gave away his latest gold medal to his neurosurgeon, Dr. Isaac Yang, an associate professor of neurosurgery at the David Geffen School of Medicine at UCLA. Yang listened to and performed surgery on Garcia, who suffers from hydrocephalus, when other ignored his pain. The story was also covered July 22 by Fox News, July 18 by La Opinion and July 15 by KCAL-Channel 9 and KCBS-Channel 2. KCBS-Channel 2, KNBC-Channel 4, KABC-Channel 7, KCAL-Channel 9, Univision, Telemundo, Estrella TV, KFI 640AM Dec. 14; La Opinion, HOY, Seventeen Magazine Dec. 15; ABC News online, CBS News online Dec. 16 and others featured the story of the formerly conjoined Guatemalan twins, nicknamed the Two Marias, who were separated in a landmark surgery at UCLA in 2002. The twins, now 14, returned to UCLA Mattel Children's Hospital this week to help decorate the rooms of pediatric patients who will be hospitalized over the holidays and to reunite with the doctors and nurses who helped care for them. Dr. Jorge Lazareff, the lead pediatric neurosurgeon; Dr. Henry Kawamoto, the lead plastic and reconstructive surgeon, and Dr. Barbara Van De Wiele, the lead anesthesiologist, were interviewed in the coverage. The story of an Indiana woman who suffered for seven months with a rare disorder that forced her to constantly hear the sounds of her eyeballs moving, heart beating and food digesting, was reported Sept. 22 by the lifestyle blog, Little Things, and Sept. 15 by Tech Insider, Business Insider and Avenue Post Online. Rachel Pyne underwent two surgeries at Ronald Reagan UCLA Medical Center to plug the tiny holes in her inner ears that caused the noises, as well as severe dizziness and balance problems. Her surgeons, Dr. Quinton Gopen, assistant professor of head and neck surgery, and Dr. Isaac Yang, assistant professor of neurosurgery at the David Geffen School of Medicine at UCLA, explained the minimally invasive approach they developed to treat semi-circular canal dehiscence, which afflicts an estimated one in half a million people. US News & World Report published Oct. 15 an interview with Katherine Steinberg, director of UCLA's Health System's Institute for Innovation in Health. The article featured a photo of EVA the robot with Dr. Paul Vespa, a professor of neurosurgery at the David Geffen School of Medicine at UCLA and director of the neuro-critical care unit at Ronald Reagan UCLA Medical Center. Examiner.com and Health Canal reported Oct. 21 on tips to help parents prevent and reduce concussion in their children who play sports. Dr. Christopher Giza, director of the UCLA Steve Tisch BrainSPORT Program, and a professor of pediatrics and neurosurgery at the David Geffen School of Medicine at UCLA and UCLA Mattel Children's Hospital, was quoted. A new study by Fernando Gomez-Pinilla, a professor of neurosurgery and integrative biology and physiology at UCLA's David Geffen School of Medicine and College of Letters and Science, finding that processed fructose interferes with recovery from traumatic brain injury, was reported Oct. 6 by Nutrition Insight; Oct. 5 by CBS News, Yahoo Health, Red Orbit, and Physical Therapy Products; Oct. 4 by GeekSided; Oct. 3 by Psych Central and the Indo-Asian News Service; and Oct. 2 by Bioscience Technology, Medical Xpress, Science Blog and Laboratory Equipment. The IANS story was syndicated Oct. 3 by India's Business Standard, Times of India, New Kerala, Can-India News, Zee News, The Statesman and Free Press Journal. The CBS News segment aired on 14 affiliates, including Louisville, Ky., Flint, Mich. and Nashville, Tenn. Three ABC news affiliates and one Fox affiliate also aired the story. The Los Angeles Times reported Aug. 31 on a paralyzed man who is able to walk again with the help of a robotic exoskeleton being studied at UCLA by Dr. Reggie Edgerton, a professor of physiology, neurobiology and neurosurgery; and Dr. Daniel Lu, an associate professor of neurosurgery. Edgerton was quoted. The story of an Indiana woman who suffered for seven months with a rare disorder that forced her to constantly hear the sounds of her eyeballs moving, heart beating and food digesting was reported Sept. 4 by the Huffington Post U.K. and Sept. 8 by WCBS-TV (New York), WLNY-TV (New York), Fox News affiliates in Chicago, Kansas City and New Haven, and the Imperial Valley News. Rachel Pyne underwent two surgeries at Ronald Reagan UCLA Medical Center to plug the tiny holes in her inner ears that caused the noises, as well as severe dizziness and balance problems. Her surgeons, Dr. Quinton Gopen, assistant professor of head and neck surgery, and Dr. Isaac Yang, assistant professor of neurosurgery, explained the minimally invasive approach they developed to treat semi-circular canal dehiscence, which afflicts an estimated one in half a million people. MSN republished the Huffington Post piece. Dr. Christopher Giza, director of the UCLA Steve Tisch BrainSPORT Program and a professor of pediatrics and neurosurgery at UCLA's David Geffen School of Medicine and Mattel Children's Hospital, commented Sept. 3 in a Hollywood Reporter story about Concussion, a new film starring Will Smith that explores his character's discovery of the long-term effects of head trauma in professional football players. He also was quoted Sept. 4 and Aug. 27 in two ESPN articles exploring emerging technology to diagnose head injuries and new ways to improve football athletes' safety. The story of an Indiana woman who suffered for seven months with a rare disorder that forced her to constantly hear the sounds of her eyeballs moving, heart beating, footsteps echoing and food digesting, was reported Sept. 2 by ABC News' "Good Morning America," KCBS-Channel 2, KCAL-Channel 9 and KFI 640 AM's Bill Carroll Show; and Sept. 1 by KTTV-Channel 11, KTLA-Channel 5, KIMT-TV (Rochester, Minn.) and the U.K.'s Daily Mail. Rachel Pyne underwent two surgeries at Ronald Reagan UCLA Medical Center to plug the tiny holes in her inner ears that were causing the noises, as well as severe dizziness and balance problems. Her surgeons, Dr. Quinton Gopen, assistant professor of head and neck surgery, and Dr. Isaac Yang, assistant professor of neurosurgery at the David Geffen School of Medicine at UCLA, were interviewed about the minimally invasive approach they have developed to treat semi-circular canal dehiscence, which afflicts an estimated one in half a million people. The "Good Morning America" segment aired on 105 ABC affiliates nationwide, including locally on KABC-Channel 7. Examiner.com Sept. 1, MedicalXpress and News-Medical.net Sept. 2 and Bio Science Technology Sept. 3 reported on a discovery by UCLA scientists involving a chemotherapy drug and a technique called engineered adoptive T cell transfer, which involves extracting and growing immune cells in a laboratory, then reprogramming them to target glioblastoma or brain cancer. Once they are injected back into a mouse model, they produce an immune response that targets the brain cancer. Dr. Robert Prins, associate professor of neurosurgery, and Dr. Linda Liau, professor of neurosurgery and director of the UCLA brain tumor program, were quoted. Both are also members of the UCLA Jonsson Comprehensive Cancer Center Tumor Immunology Program. ABC News Videos - Rachel Pyne was diagnosed with a condition that enabled her to hear her entire body, including heart, eyes and bones. Can Our Eyes See Our Dreams? A UCLA/Tel Aviv University study suggesting that rapid eye movement (REM) sleep reflects the brain processing dream images in the same way it does when our eyes see images in waking life was covered Aug. 11 by the Jerusalem Post; Aug. 12 by LiveScience, MedicalXpress, Domain-B, HealthCanal and Bioscience Technology; and Aug. 13 by the U.K.'s Daily Mail, Optometry Today, Metro, Science World Report, Medical Daily and News-Medical.net. Senior author Dr. Itzhak Fried, a professor of neurosurgery and psychiatry at UCLA's David Geffen School of Medicine and Semel Institute, led the research. A UCLA study that used electrical stimulation of the spinal cord to help paralyzed men move their legs again was covered July 31 by the Washington Post, Popular Science, CBS News, UPI, HealthDay News, GizMag and Asian News International. Dr. V. Reggie Edgerton, professor of physiology, neurobiology and neurosurgery at the College of Letters and Sciences and the David Geffen School of Medicine at UCLA, tested the technique on five patients from the research lab of Dr. Daniel Lu, assistant professor of neurosurgery at the David Geffen School of Medicine at UCLA. Yahoo! News and the Times of India syndicated an Indo Asian News International story and WebMD syndicated the HealthDay piece. The Westwood-Century City Patch posted July 23 a story on a ceremony with UCLA Health and One Legacy, an organ procurement organization, to honor special donors who became organ, eye and tissue donors at the time of their deaths at Reagan UCLA Medical Center or at UCLA Medical Center, Santa Monica. The Gift of Life Fountain, located at Reagan UCLA Medical Center's Garden of Peace, was dedicated and special engraved medallions honoring past donors were tossed into the water during the ceremony. Donor names will also be added to an online donor recognition webpage. Dr. Paul Vespa, director of neurocritical care at Reagan UCLA Medical Center and a professor of neurosurgery and neurology at the David Geffen School of Medicine at UCLA; Rev. Karen Schnell, director of spiritual care at UCLA Health; and Barbara Anderson, unit director of the Neuroscience/Trauma Intensive Care Unit at UCLA, were quoted. IFL Magazine, Italy's online publication about American football, ran a July 20 Q&A with Dr. Christopher Giza, director of the UCLA Steve Tisch BrainSPORT Program and a professor of pediatrics and neurosurgery at the David Geffen School of Medicine at UCLA, about the university's role in a landmark $30 million initiative funded by the National Collegiate Athletic Association and the U.S. Department of Defense to collect "big data" on concussions. Giza and his colleagues aim to collect new clues about the biological and genetic risk factors for sports-related head injuries. A UCLA/USC study finding that some children recover more slowly from concussion and other types of traumatic brain injury because they have extensive damage to the fatty sheaths encasing the brain's nerve fibers was reported July 14 by HealthDay News and MedicalXpress; and July 15 by redOrbit, New Zealand's Horse Talk, Health Canal and News-Medical.net. The HealthDay story was syndicated by the Philadelphia Inquirer, U.S. News & Report and Doctors Lounge. Dr. Christopher Giza, director of the UCLA Steve Tisch BrainSPORT Program and a professor of pediatrics and neurosurgery at the David Geffen School of Medicine at UCLA, and Dr. Emily Dennis, a postdoctoral scholar at USC's Keck School of Medicine, were quoted. New York Times, Science, NPR, Reuters, Science Codex, Science Daily, MedicalXpress, Examiner.com, News 14, Daily Mail (U.K), Motherboard and Press TV reported July 1 on a study by Dr. Itzhak Fried that found that neurons in a specific brain region play a key role in rapidly forming memories about every day events. The NPR story was picked up by nearly 50 affiliate stations across the country. Fried is a professor of neurosurgery and psychiatry and biobehavioral sciences at the David Geffen School of Medicine at UCLA and the Semel Institute for Neuroscience and Human Behavior. Dr. Christopher Giza, director of the UCLA Steve Tisch BrainSPORT Program and a professor of pediatrics and neurosurgery at UCLA's David Geffen School of Medicine and Mattel Children's Hospital, commented July 1 in a USA Today story about soccer's international governing body's three-minute concussion evaluation protocol following two players' head-on collision during the Women's World Cup. Motherboard featured June 12 an article about what it is like to live with part, or half, of a brain due to injury or surgery. Dr. Gary Mathern, a professor of pediatric neurosurgery, who has performed many hemispherectomy surgeries on children with untreatable epilepsy, was interviewed. Dr. Christopher Giza, director of the UCLA Steve Tisch BrainSPORT Program and a professor of pediatrics and neurosurgery at UCLA's David Geffen School of Medicine and Mattel Children's Hospital, was interviewed in a June 10 USA Today article and online video about an international soccer association's failure to address concussion in its athletes, particularly female soccer players. Dr. Christopher Giza, director of the UCLA Steve Tisch Program and a professor of neurosurgery and pediatrics at UCLA's David Geffen School of Medicine and Mattel Children's Hospital, commented May 22 in the Washington Post about how a rare type of ear condition is sometimes mistaken for a concussion. Nature Explores the "Kill Switch"
A Paris conference organized by Dr. Itzhak Fried, a professor of neurosurgery and psychiatry at UCLA's David Geffen School of Medicine and Semel Institute, was covered May 19 by Nature. The meeting examined the possible brain mechanisms that transform ordinary citizens into mass murderers. Nature published a May 11 interview with Dr. Itzhak Fried, a professor of neurosurgery and psychiatry at UCLA's David Geffen School of Medicine and Semel Institute, about a recent conference he organized in Paris. The meeting examined the brain mechanisms behind Syndrome E, which transforms peaceful neighbors into mass murderers. ABCNews.com May 5 and KABC-Channel 7 May 4 reported on a landmark concussion study that is equipping some UCLA football players' helmets with sensors to monitor blows to the head in real time. Part of a $30 million initiative funded by the National Collegiate Athletic Association and U.S. Department of Defense, the project will enroll an estimated 37,000 male and female student athletes over a three-year period to gain new insights into how to monitor and treat concussion. Dr. Christopher Giza, director of the UCLA Steve Tisch BrainSPORT Program and a professor of neurosurgery and pediatrics at UCLA's David Geffen School of Medicine and Mattel Children's Hospital; and Dr. John DiFiori, head team physician with UCLA Athletics and a professor of family medicine at the David Geffen School of Medicine at UCLA, were quoted in both stories. Dr. Christopher Giza, director of the UCLA Steve Tisch BrainSPORT Program and a professor of neurosurgery and pediatrics at UCLA's David Geffen School of Medicine and Mattel Children's Hospital, explained May 1 in TIME why a prize fight is murder on a boxer's brain. Rare Disorder Explored on "The Doctors"
CBS' The Doctors April 22 spotlighted a college student who suffered for months from severe vertigo until her diagnosis and surgery for superior semicircular canal dehiscence, a tiny hole in the ear that undermines balance and causes other disruptive symptoms. Dr. Isaac Yang, an assistant professor of neurosurgery at the David Geffen School of Medicine at UCLA, appeared on the show with her. Dr. Christopher Giza, professor of pediatrics and neurosurgery at the David Geffen School of Medicine at UCLA and UCLA Mattel Children's Hospital, commented April 21 in MedPage Today on new research presented at the American Academy of Neurology annual meeting. Preserving the body's normal temperature to reduce fevers in severe brain trauma improved brain function and reduced the number of hospital deaths compared to previous approaches that rely upon cooling therapy. A 2012 UCLA rat study demonstrating that a diet high in fructose slows the brain, interfering with memory and learning, was referenced Aug. 14 by Australia's Sydney Morning Herald; April 8 by Pakistan's Daily Times; and April 6 by the Huffington Post. 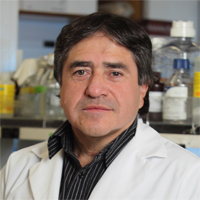 Lead researcher Fernando Gomez-Pinilla, a professor of neurosurgery at the David Geffen School of Medicine at UCLA, was quoted. Research by Dr. Jean-Philippe Langevin, an assistant professor of neurosurgery at the David Geffen School of Medicine at UCLA, was covered in the April edition of Popular Science. His team explored whether deep brain stimulation could help veterans who have failed to respond to other treatments for post-traumatic stress disorder. Langevin was quoted. Dr. Christopher Giza, director of the UCLA Steve Tisch BrainSPORT Program and professor of pediatrics and neurosurgery at the David Geffen School of Medicine at UCLA and UCLA Mattel Children's Hospital, was quoted in a March 20 Huffington Post article comparing the health risks of cycling to football. KCBS-Channel 2 broadcast a March 18 story highlighting an event by the UCLA Department of Neurosurgery's Brain Injury Research Center to raise awareness of traumatic brain injury, or TBI. The segment featured popular actor Larry Miller and Ironman athlete Greg Parks, who both recovered from TBIs at Ronald Reagan UCLA Medical Center. The story re-aired on KCAL-Channel 9. Dr. Jorge Lazareff, professor emeritus of pediatric neurosurgery, was interviewed March 9 by KMEX-Channel 34 in a story about a 2-year-old boy from Mexico with hydrocephalus who is being helped by the nonprofit organization called Mending Kids International. 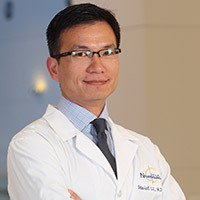 The Lodi News-Sentinel published a March 5 profile of Dr. Isaac Yang, an assistant professor of neurosurgery at the David Geffen School of Medicine at UCLA, who was honored by the American Medical Student Association with its National Golden Apple Award for Teaching Excellence. A former Lodi resident, Yang received the award at the association's 65th Annual Convention in Washington, D.C. on Feb. 28. Dr Isaac Yang, assistant professor of neurosurgery at the David Geffen School of Medicine at UCLA, commented in a Feb. 10 story by Revolt about the possible medical issues facing Whitney Houston's daughter. Dr. Christopher Giza, director of the UCLA Steve Tisch BrainSPORT Program and a professor of pediatrics and neurosurgery at the David Geffen School of Medicine at UCLA, commented Jan. 5 in a New York Times article that reported on a new study that found limiting rest to one or two days is more beneficial to young concussion patients rather than a longer period of five days. Scientific American Dec.18 spotlighted a study supervised by Dr. Itzhak Fried, professor of neurosurgery and psychiatry at the David Geffen School of Medicine at UCLA that discovered individual neurons fire in response only to images of specific people whose face the patient recognized. Engineering.com reported Dec. 10 on a new helmet material developed by UCLA scientists that might protect football players from concussion. Dr. Christopher Giza, director of the UCLA Steve Tisch BrainSPORT Program and a professor of pediatrics and neurosurgery at the David Geffen School of Medicine at UCLA, was quoted. Dr. David Hovda, professor of neurosurgery at the David Geffen School of Medicine at UCLA and director of the UCLA Brain Injury Research Center, was featured in Dec. 2 articles by NBC News.com and Vox about how head injuries suffered while playing football can damage a player's brain. The Daily Breeze published a Nov. 15 profile of a teen who had one-eighth of her brain removed at Ronald Reagan UCLA Medical Center to treat her epileptic seizures. She delivered a patient testimonial at the 2014 UCLA Department of Neurosurgery's Visionary Ball. The Ventura County Star and North Dallas Gazette reported Nov. 13 on a new helmet material being developed by the UCLA School of Engineering in collaboration with Dr. Christopher Giza, a professor of pediatrics and neurosurgery at the David Geffen School of Medicine at UCLA and director of the UCLA Steve Tisch BrainSPORT Program. Giza was quoted. Could Brain Injuries Be Behind the NFL Rap Sheet? Dr. David Hovda, professor of neurosurgery and director of the UCLA Brain Injury Research Center, was quoted in a Sept. 17 NBCNews.com article that examined a possible link between repeated blows to the head and aggressive tendencies. Dr. Christopher Giza, director of the UCLA Steve Tisch BrainSPORT Program and a professor of pediatrics and neurosurgery at Mattel Children's Hospital; were featured in the article, NY Giants' Steve Tisch Reveals His $10M Plan to Further Concussion Research, about Tisch's mission to help young athletes by donating $10 million to UCLA to deepen understanding of sports concussions. Dr. Giza also appeared in Hollywood's Top Doctors, a photo essay showcasing entertainment luminaries' favorite physicians. The August issue of Indianapolis Monthly magazine featured the story of an Indianapolis family whose son, diagnosed with cortical dysplasia, underwent a hemispherectomy surgery at UCLA Mattel Children's Hospital to help stop epileptic seizures. His surgeon, Dr. Gary Mathern, professor of pediatric neurosurgery and director of the Pediatric Epilepsy Surgery Program at UCLA Mattel Children's Hospital, was interviewed. 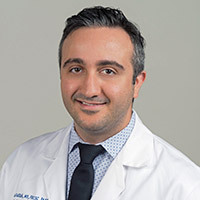 Dr. Nader Pouratian, assistant professor of neurosurgery and director of the UCLA Neuromodulation for Movement Disorders and Pain Program, commented Aug. 26 in an MS Discovery story about the use of deep brain stimulation to control tremors in patients with multiple sclerosis. Dr. Christopher Giza, a professor of pediatrics and neurosurgery at the David Geffen School of Medicine at UCLA and UCLA Mattel Children's Hospital, commented in an Aug. 19 Fresno Bee story about a newly passed California law that limits the amount of full contact in high school football practice. The Aug. 15 edition of Healthcare Exchange gave the spotlight to the live-tweet of the UCLA Department of Neurosurgery 500th deep brain stimulation procedure involving a musician who had tremors. Linda Ho, director of digital marketing, and Ashely Dinielli, program promotional manager, UCLA Health System, were quoted in the article on how they used this unique patient story to capture the public's interest through social media. A tribute luncheon organized by UCLA Health System and the UCLA Department of Neurosurgery to honor the legacy of former World Boxing Council president Jose Sulaiman was covered Aug. 15 by Phil Boxing; Aug. 14 by the blog My Boxing Fans and ESPN Deportes; Aug. 13 by Televisa Deportes, Hijos de la Radio and Aug. 12 by ESPN, San Diego's Vida Latina, Mexico's El Universal, the international Spanish news wire EFE Agencia, and syndicated by Fox News Latino, Televisa Deportes, Radio Formula, LA Informacion and more. Dr. Christopher Giza, director of the UCLA Steve Tisch BrainSPORT Program and professor of pediatrics and neurosurgery at the David Geffen School of Medicine at UCLA and UCLA Mattel Children's Hospital, was interviewed July 22 by KGO 810AM (San Francisco) and KFWB 980AM about the brain-saving benefits of a new California law that will limit full contact during school football practice. Science magazine July 17; Today's Medical Developments July 18; and MedCity News July 22 covered a four-year project aiming to help brain-injured people restore lost memory functions. Dr. Itzhak Fried, a professor of neurosurgery at the David Geffen School of Medicine at UCLA and psychiatry and biobehavioral sciences at the Semel Institute, is the lead investigator for the UCLA site of the multicenter initiative. Business Insider, Government Technology, Fierce Heath IT, Med Device Online, Headlines and Global News, Defense Systems, Mother Nature Network, redOrbit, The Register (U.K.), KMBZ 98.1FM, KNVU 102.1FM , KOZL-TV (Mo. ), Technology.org, San Francisco Business Times and Washington Times July 10; Scientific American, The Independent (U.K.), Medical News Today, Delhi Daily News (India) and Uncover California, Marine Corps Times, Bruins Nation, Army Times, Air Force Times, Military Times, Navy Times and Science Recorder July 13; MedGadget and domain-b July 14; The Daily Beast and USA Today July 15; Smithsonian.com and RTT News July 16, and Science magazine and GCN July 17 reported on a four-year project aiming to help brain-injured people restore lost memory functions. Dr. Itzhak Fried, a professor of neurosurgery at the David Geffen School of Medicine at UCLA and psychiatry and biobehavioral sciences at the Semel Institute, is the lead investigator for the UCLA arm of the multicenter effort. The Santa Monica Mirror July 15, Bruins Nation covered a campus event co-sponsored by the UCLA Steve Tisch BrainSPORT Program. Led by Dr. Christopher Giza, director of the BrainSPORT Program and a professor of pediatrics and neurosurgery at the David Geffen School of Medicine at UCLA and UCLA Mattel Children's Hospital, a panel of sports experts voiced support for Assemblyman Ken Cooley's bill proposing that youth football players adopt the National Football League's guidelines limiting full contact during practice. The New York Times, Los Angeles Times, Philadelphia Inquirer, ABC News, MedicalXpress, Spectrum, San Francisco Chronicle, News-Medical.net, Examiner.com, Electronic Component News, Agence France-Press, Economic Times, San Jose Mercury News, Nature World News, San Francisco Business Times, Space Daily, Health Data Management, Contra Costa Times, Stars and Stripes, Medical Design Technology, The Street, Capital FM , Health Canal, Science Magazine, Los Angeles Register, KQED-TV and Live Science July 9 and KABC-Channel 7, Bio-Medicine, Tech Times, Sci-Tech Today, Washington Times, Science World Report and The Wire July 10 reported on a four-year project aiming to help brain-injured people restore lost memory functions. Dr. Itzhak Fried, a professor of neurosurgery at the David Geffen School of Medicine at UCLA and psychiatry and biobehavioral sciences at the Semel Institute, is the lead investigator for the UCLA arm of the multicenter effort. The Agence France-Press article also appeared in the Business Standard, Times Live, Economic Times, Space Daily and Global Post, the Philadelphia Inquirer story also appeared in the Dallas Morning News and Philadelphia Daily News, and the Live Science story also ran on Yahoo! News and Fox News.